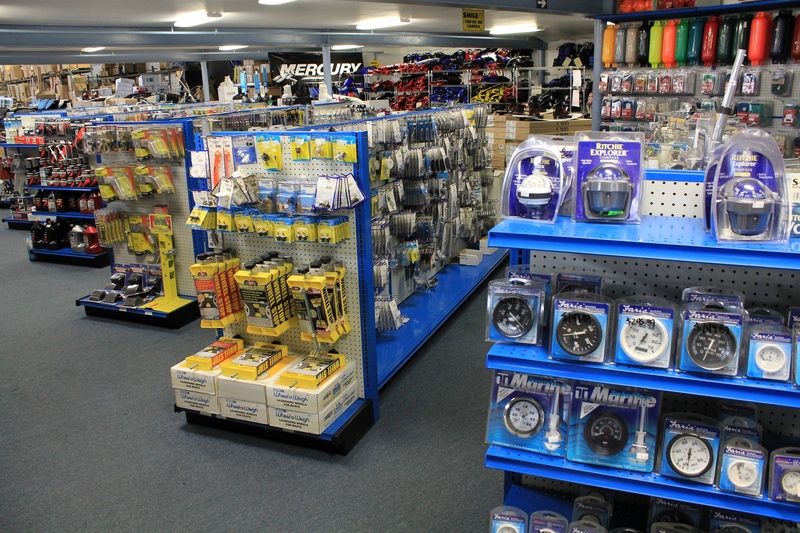 Alongside our expansive boat selection, we also stock a large variety of parts and accessories in our Parts Store to ensure that your boating experience is complete! 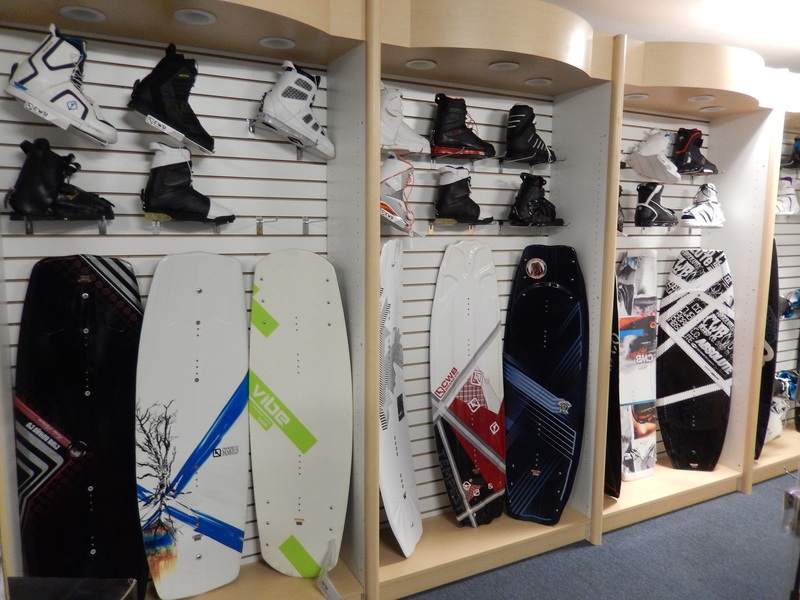 We carry items for all of your water sports and fishing needs including skis, wakeboards, wakeskates, tubes, hundreds of stand-up paddle boards, life jackets, and much more. Our fishing accessories include trolling motors, pole holders, downriggers and live well pumps just to name a few. 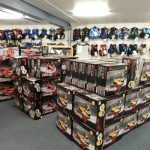 We also carry buoys, cleaning supplies, ropes, hitches, gauges, boat covers, bimini top hardware, coast guard kit needs (throwable devices, flags, airhorns/whistles, fire extinguishers, life-saving devices, flares, etc.) and much much more! 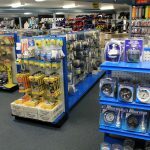 We carry everyday boating necessities; such as anchors to miscellaneous parts like hinges and door catches to upgrades; such as wakeboard towers, radios, and accessories. Here at Inland Boat Center, we are a one-stop shop and if we do not stock an item that you are looking for we can place a special order for nearly anything you desire. Come on down and see what we have, we will be happy to assist you!! 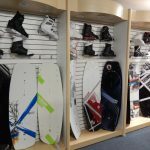 At Inland Boat Center, our store is filled with great amounts of CWB Wakeboards and Bindings along with CWB Wakeskates, Connelly Water Ski’s, and Connelly Towable Tubes. The levels of CWB wakeboards and Connelly skis carried by us vary from intermediate to professional level boards, male and female boards, and even youth sized boards. 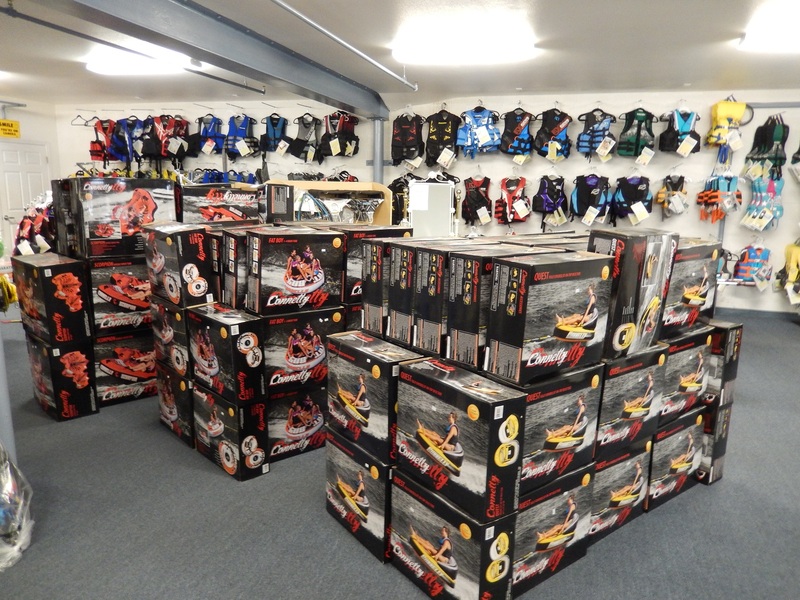 We have exceptional amounts of product in stock to get water sports enthusiasts on the water and having fun. Just starting out as a beginner? We have everything you need! Aside from the wakeboards, skis, and tubes, we offer everything a new water sports enthusiast will need, including towable tube ropes, rope and handle packages for skiing and wakeboarding, life jackets, binding slime (to aid in the ease of slipping your feet into the bindings) and the orange safety flags. We provide a knowledgeable team to assist customers with any questions and/or concerns they may have regarding the vast products the boating industry has to offer. Our Parts Department holds great pride in making sure customers receive friendly, professional, and above satisfactory customer service. Join BDB Paddle Boards and fastest growing water sport to hit America!!! All BDB models are made wide for perfect stability and ease of paddling. They are equipped with an extra-large traction pad to help keep you from slipping. The BDB is 11’6″ (length), 30″ wide, and 3″ thick and is so easy to paddle that you will be up and running in no time! Each model has a built-in flush handle grab placed in the center of the board to ease carrying it. This package includes the paddle board, fins, carbon paddle (can be trimmed to desired height), leash, and carrying bag. The paddle is best adjusted 6″- 8″ above your head which will allow you to stand straight up.